Fun Slides Carpet Skatepark Review by Jill Baran | Fun Slides Announces Their 2nd Pittsburgh Location!! Get ready, North Hills, for a fresh new fun place to enjoy with the family! Fun Slides Carpet Skate Park in Greensburg is planning the grand opening of their 2nd location – in the heart of North Hills! Never been? You can check out our review and more background of how Fun Slides started and their first location in Greensburg HERE. The new location will be almost THREE times the size and THREE times the fun!! This is exactly what was needed, a fun twist to active fun! The Grand Opening is set for the weekend of Saturday May 31st – so be sure to mark your calendars and stop by! This brand new 30,000 square foot fun place will include dozens of carpeted ramps of various sizes for you and the kids to SLIDE down with carpet skates that attach right over your shoes! "The best way to describe “Fun Sliding” is like sliding with your socks on wood floors…but you can do it on carpet. Basically, they are smooth plastic ‘skates’ that are strapped under . The ‘gripper grooves’ on the bottom provide traction. 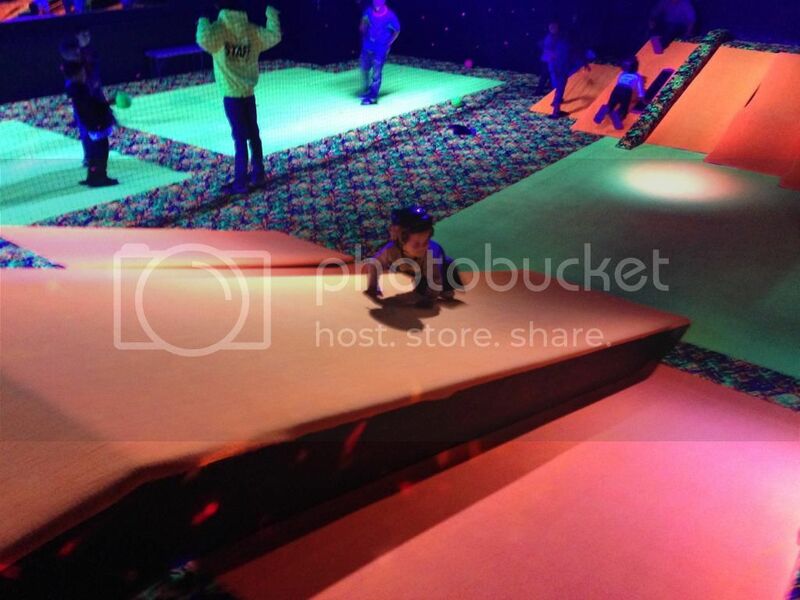 Carpet Skating is a safer alternative to skating on ice or concrete yet very cool for kids (and adults!)." 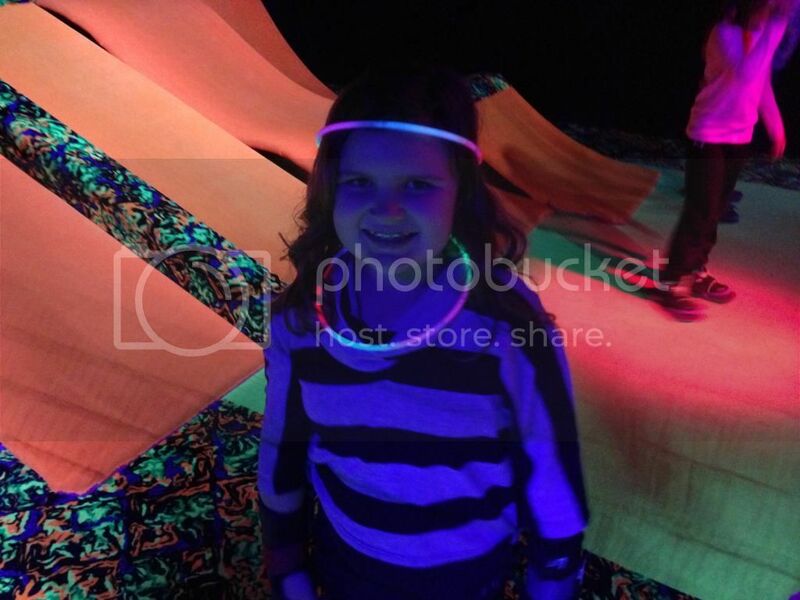 The atmosphere is exciting too with bright neon lit carpeting and black lights and positive hi-energy music. Cool laser images on the wall give it a high tech feel, perfect for the new hangout for your tween and teens! In addition to carpet skating, this location will offer a separate skating area for the younger kids. Also, a neon black-lit dodgeball area. Coming soon, they will also offer café’ service with seating. There will be three party rooms, so plan your next event now before it fills up! This is going to be the hot new place for every occasion – including birthday parties, group outings, youth groups, fundraisers and good old fashioned family time. Conveniently located in the Pines Plaza shopping center, it will be around back and actually under the current Shop N Save. What to Wear - Comfortable tennis shoes are best ... though some were skating in UGG style boots - definitely closed toes. Lightweight but long sleeved shirts and long pants are advised so you won't get rug burns. It is a bit of a workout as you have to climb up on the platforms and "concentrate" on the way down. Spectators – Spectators or non-skaters are always free!. There is free Wi-Fi and a great walled off area where you can sit and watch the kids while you get some work done. I highly recommend getting out there with the kids to try it at least once... soooo fun and so addicting!